IMG_2658, originally uploaded by burro come churro. Hi this is just a test to see if photos can work. 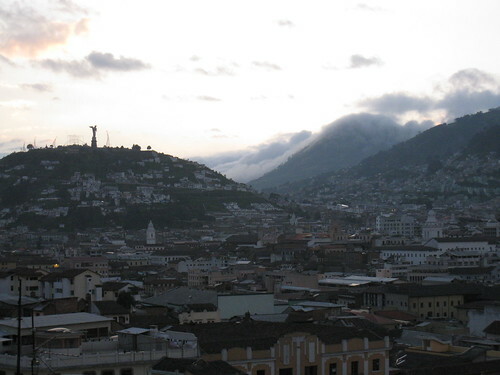 Incidentally, this is Quito in the Old Town just as thesun was rising on our first morning. The Hostel we were staying at had a great patio with a sprawling view. Nice to sip your morning cup to this.